Help us celebrate "Take Your Child to the Library Day" on February 2, 2019, 10am-2pm. 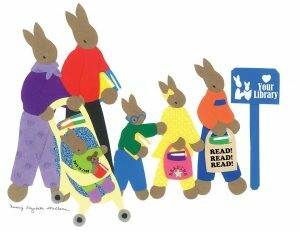 This is an initiative encouraging families everywhere to take their children to their local library. We will have bookmarks available to color, a scavenger hunt, and light refreshments. Don't forget to bring your library card! If you don't have a card yet, ask one of your librarians.